As the marketing landscape continues to change in the face of new trends and technologies, digital transformation emerges as an essential response to this change. The biggest companies in the country are shaping their acquisitions and strategies to fit a digital, fully integrated future. largest brands in the world. Drilon’s body of work includes years in BBDO Guerrero, JimenezBasic Advertising, Ogilvy and Mather, and Bates 141. Drilon previously worked at Havas Ortega between 2011 and 2015 as their Head of User Experience + Technology and Creative Collaborator. He worked in an internal unit, Collab, which integrated several disciplines, including design and technology, to provide innovative and creative ideas for Havas’ brands. 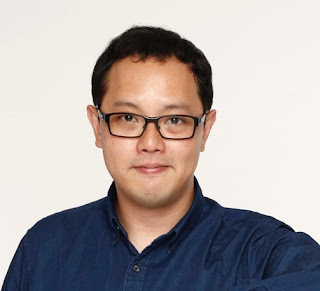 During this time, he was instrumental in developing Havas Media APAC’s HEARTbot (Havas Engagement-Activated Response Technology Robot), a platform that can connect social media behavior such as likes and hashtags to electronic switches that can turn on lights or activate machines. The project sought to help brands achieve more meaningful connections with their consumers, through engagement and participation. He was then given the opportunity to work at The LEGO Group in Billund, Denmark, where he stayed for two years as the Lead Content Strategist for LEGO City, LEGO Minifigures, LEGO BOOST and LEGO House. He was in charge of UX design for desktop and mobile, digital content strategies, ideation and production, and digital project management on these brands, cementing his multi-disciplinary expertise in technology, strategy, and creative solutions. Drilon’s homecoming to Havas Ortega marks the beginning of the agency’s next leap into digital transformation. Heading the Build & Innovation team, he will help provide innovative solutions that leverage the latest technologies and trends in design, and build apps, platforms, and user experiences for Havas Ortega’s clients. “Innovation is an oft-misused term in the industry that just wants to grasp at anything new. My goal is to provide solutions and strategies that are truly innovative in meaningful ways, which engage with consumers and their needs. I’m happy to be working once more with Havas Ortega and seeing what I can contribute in this digital era. My experience outside the country has certainly given me brand-new perspectives, and I’d like to take this opportunity to give back,” Drilon said of his appointment.